For Tennis aficionados out there, it's time to put down your Tennis racquets and pick up the new Wilson racquets equipped with the new Spin Effect Technology, namely Juice, Steam, Pro Staff and Blade. 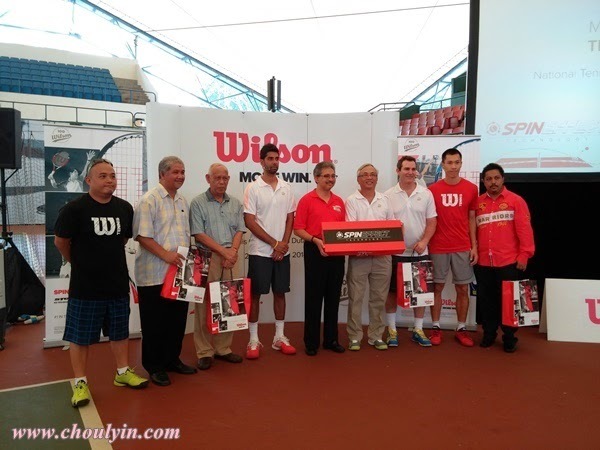 These new Tennis racquets recently made its debut in Malaysia, and Indian tennis star, Rohan Gajjar and Malaysian number one, Si Yiew Ming were among tennis enthusiasts present at the National Tennis Centre here to test and experience Wilson’s groundbreaking SET racquets that offers outrageous power and massive spin. Also present was Mirzan Tun Mahathir, Chairman of Tennis Malaysia and President of the Kuala Lumpur Lawn Tennis Association. Commenting on the racquets, Mirzan said the ability to spin the ball faster can help players perform better, adding that the introduction of the new technology is something that all tennis players look forward to. 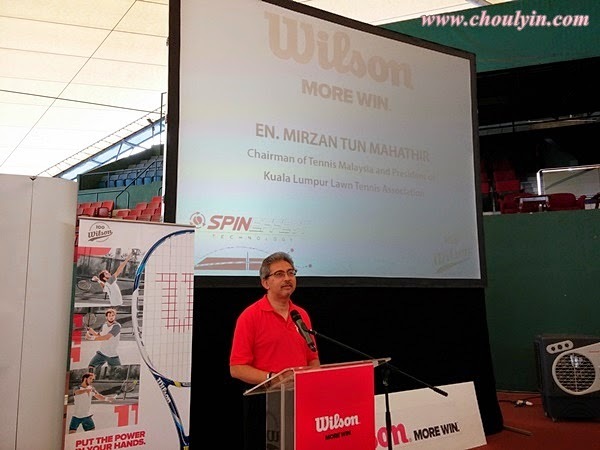 “We welcome the association with Wilson and their latest Spin Effect Technology, as it is our intention to bring tennis to a higher level in Malaysia,” noted Mirzan. 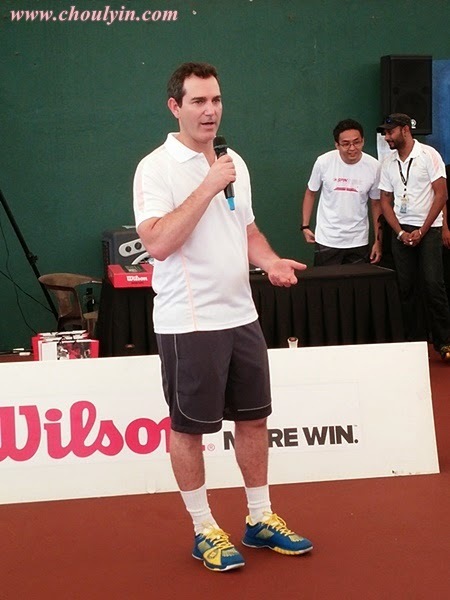 According to Mike Miringoff, Regional Business Manager of APAC, one of Wilson’s biggest successes of the past year has been the introduction of SET to some of the racquets in their current line. “Our carefully researched Spin Effect Technology has three main benefits to players – more margin for error over the net which means hitting higher over the net, hitting harder whilst keeping the ball in the court and better control of the ball so you can hit sharper angles,” explained Miringoff. 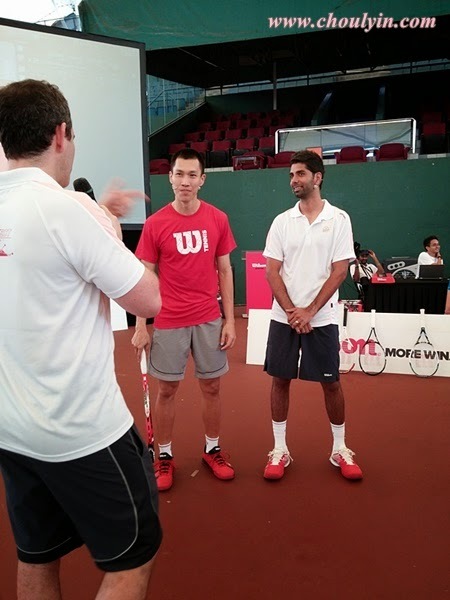 Rohan and Yiew Ming agreed that today’s tennis game has changed dramatically and is all about aggressive spin, noting that this advancement will bring increased spin potential to a wider audience and will improve their game. 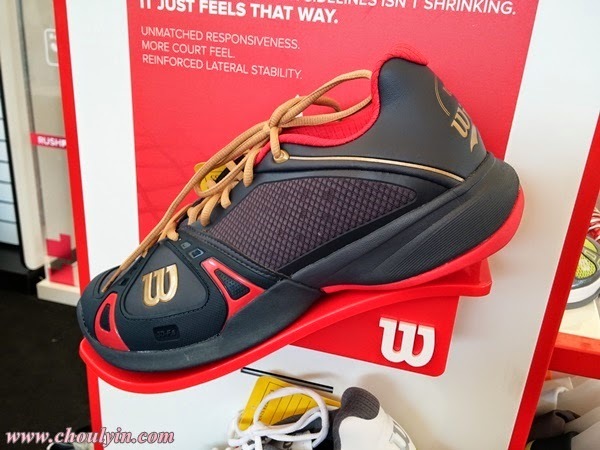 The Rush Pro is a new approach to building tennis footwear that provides a lower to the ground court feel, a more comfortable performance, feel/fit and added lateral stability for improved on-court movement. Not to mention the design is sleek and classy too! It is super lightweight, therefore it provides superior cushioning in the heel, and improved rebound in the fore foot for faster response. 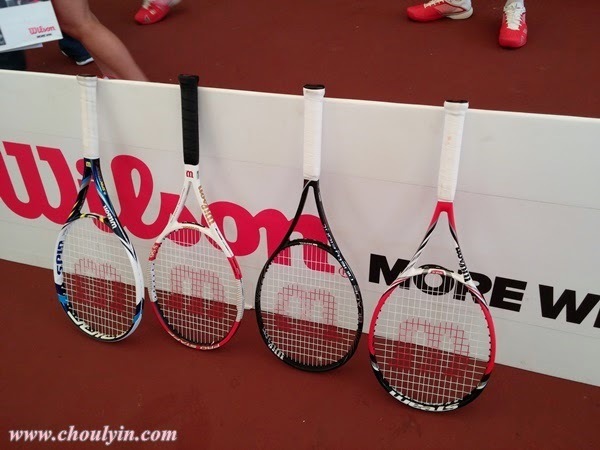 I am loving the new Rush Pro series, and the SET racquets promises to rack up more spin! 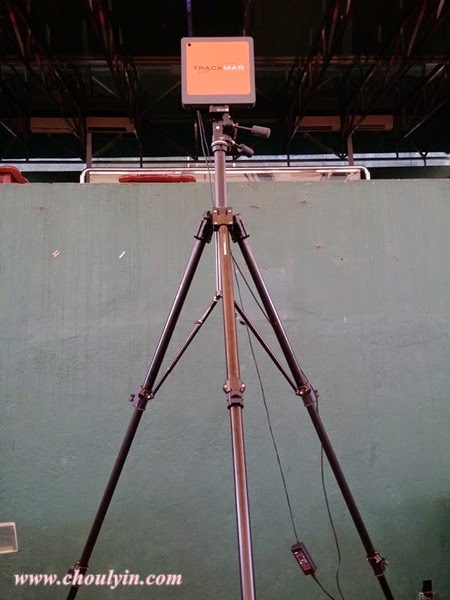 Tennis lovers, this is one technology that you should not miss!! !